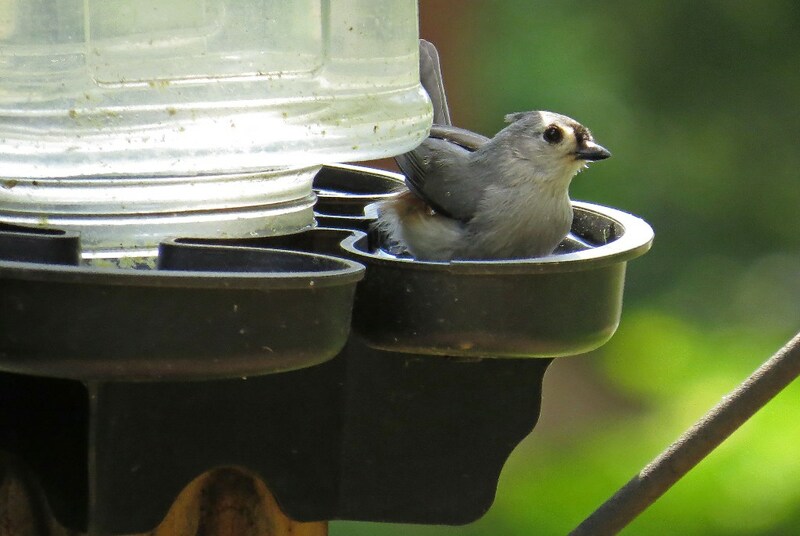 I know “tiny houses” are all the rage these days, but in my yard, “tiny tubs” are a favorite. 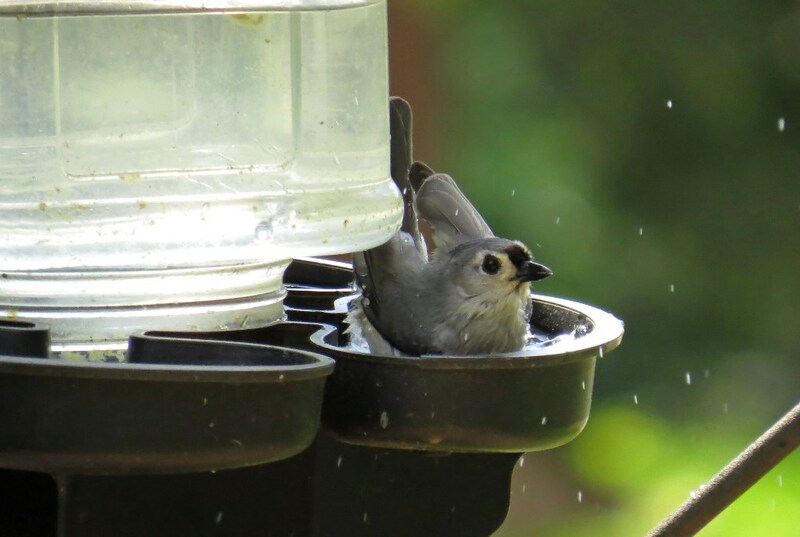 I enjoyed watching this Tufted Titmouse splash about in his personal sized bathing dish yesterday afternoon. Hmmm…”Tiny Tubs”…I’m thinking this just might be the next hit show on HGTV! 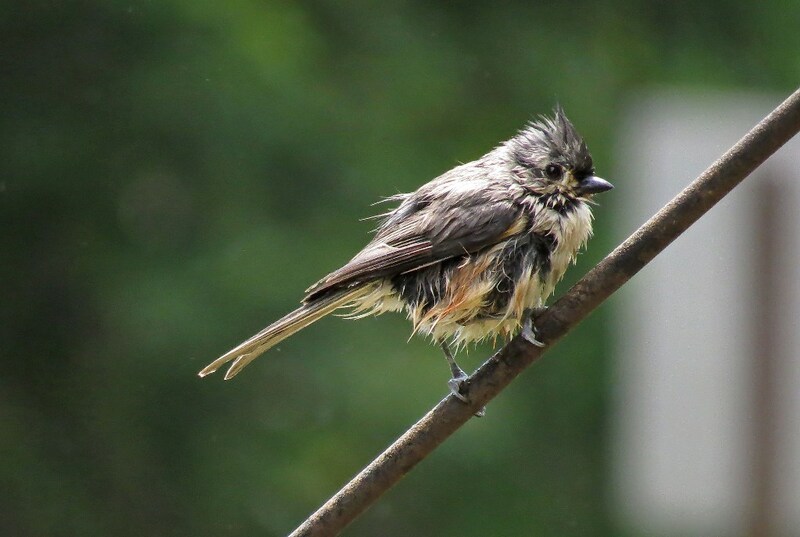 This entry was posted in Backyard Birds and tagged beauty, birds of georgia, cameras, HGTV, hobbies, nature, photography, titmouse, writing. Bookmark the permalink. Excellent images, the last one in particular! I couldn’t help smiling as I looked at this series. The last shot is priceless!! I like the last shot too. He sure didn’t sit still for long though! Love it. We have a fountain we built with rocks that have natural little bathing holes for the birds. 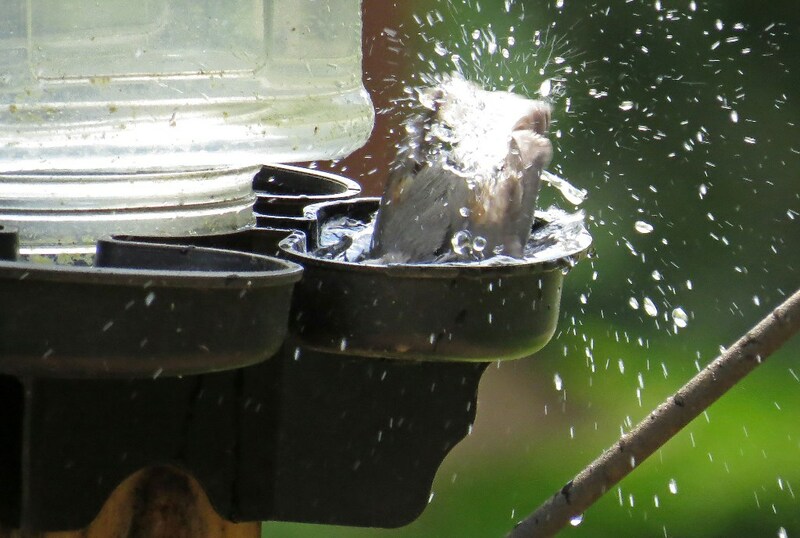 The dove and cardinals use them, but the smaller birds don’t. Thanks for the idea. I love the way you caught the splashes. I have tried,but haven’t perfected it yet. Great shots!